It was sold for around 50 euros in 1958 – and now it’s worth an estimated 85 million. 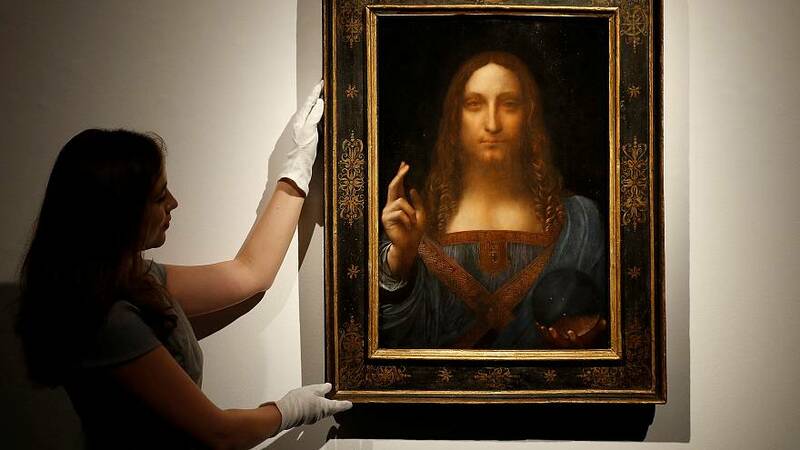 Leonardo da Vinci’s ‘Salvator Mundi’, an oil on panel canvas of Jesus Christ, has been hailed by auction house Christie’s as ‘the greatest artistic rediscovery of the 21st century’. Now on display at Christie’s in London before its sale next month in New York, it’s the only privately owned painting by da Vinci. “There are only 15 or 16 surviving examples of his work in painting and so to have one rediscovered and available for sale is, I have to say, the rarest event of my career,” said Alan Wintermute, senior specialist at Christie’s New York. The painting dates from around 1500, around the same time da Vinci painted ‘Mona Lisa’. The painting was first recorded during the reign of King Charles I (1600 – 1649) and then disappeared from 1763 to 1900, when the figure’s face and hair were over-painted with a beard and moustache. In 1958 the altered work was sold for the equivalent of 50 euros at a Sotheby’s sale before disappearing again until 2005, when it was purchased from an American estate at a small regional auction house. Its rediscovery was followed by six years of intense research to document its authenticity. Christie’s has now put ‘Salvator Mundi’ on tour, showing the painting at exhibitions in London, Hong Kong, New York and San Francisco. The painting will be offered in Christie’s Evening Sale of Post-War and Contemporary Art on November 15, 2017 in Rockefeller Plaza.